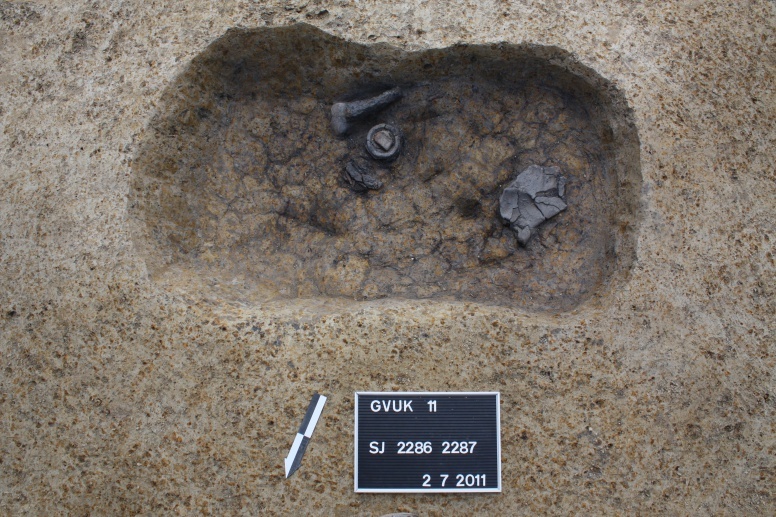 The salvage investigations at the AN 6 Gornji Vukojevac site on the route of the Zagreb-Sisak motorway uncovered the remains of a prehistoric and antique settlement with a necropolis. 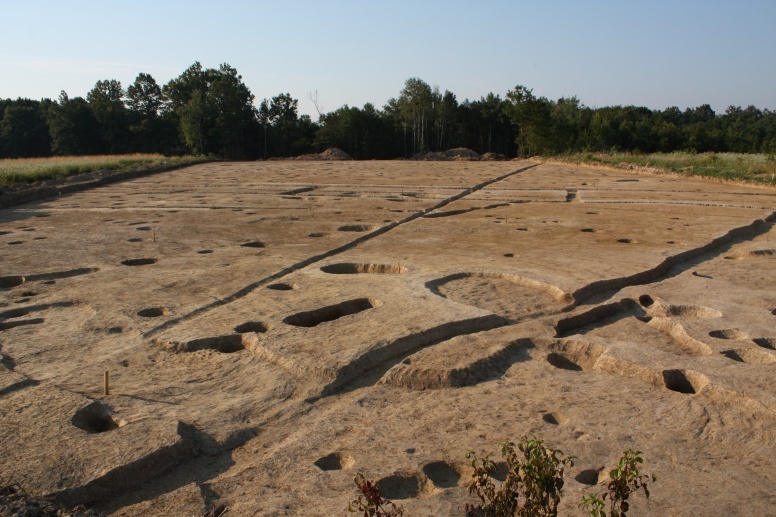 The site was discovered during a field survey in 2008, when ceramic finds attributed to prehistory, Antiquity and the Middle Ages were collected on the ploughed fields between Gornji Vukojevac and Donji Vukojevac. The site is situated on the edge of an elevation that gently descends towards the south and the plain of the Koravec brook. 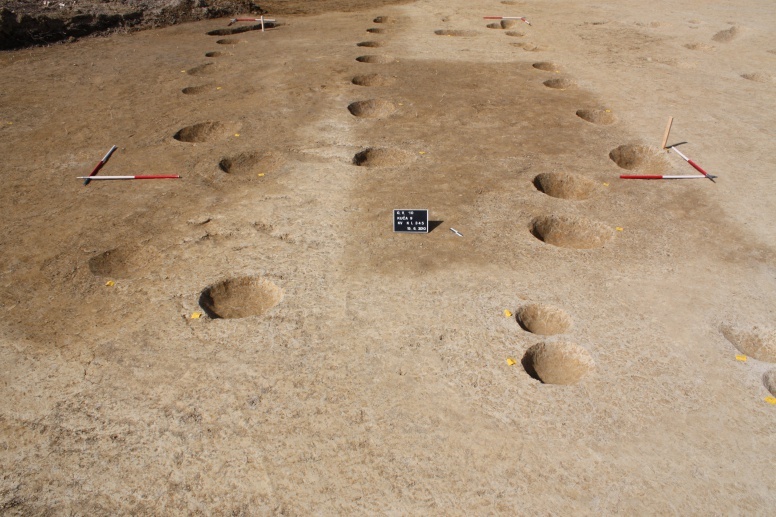 The research covered an area of around 16.630 m2 and revealed a number of pits, channels, ditches and post-holes, whose fills yielded potsherds and daub, as well as stone, metal and glass objects. 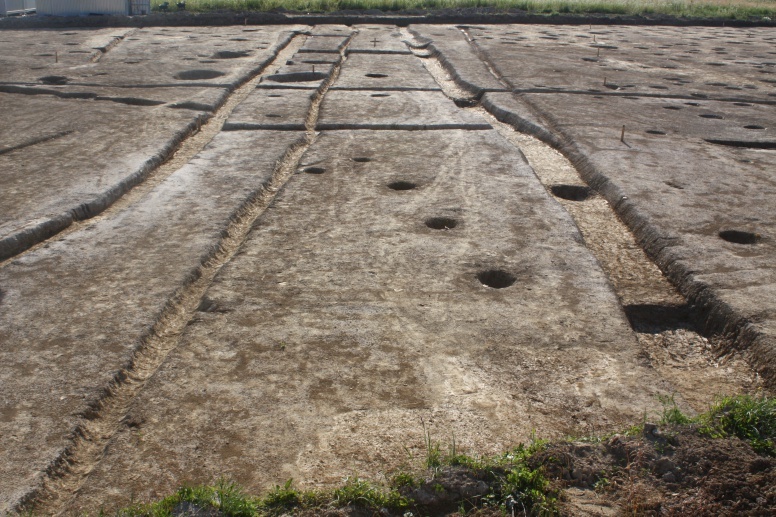 The infrastructure of the prehistoric settlement consisted of houses and storages of rectangular plan, which have been preserved in the form of post-holes of various depths and diameters. The houses were arranged in rows, with 2-3 metre wide communications between them. The excavation also uncovered narrow ditches, which probably accommodated wooden posts that formed part of courtyard or household fences. The pit fills yielded fragments of pots and bowls of various types, which were often decorated with relief applications and dated to the Late Bronze Age, the older phase of the Urnfield culture (13th-12th century BC). Narrow channels of a U-shaped cross-section belong to the infrastructure of the Roman rural settlement. These are the remains of courtyard fences lying next to the road, of which two rows of parallel channels have remained preserved. The road was around 5.50 m wide. A part of the Roman settlement yielded five cremation graves of the bustum type, or the remains of the deceased persons were placed in the grave pit with fragments of ceramic pots and metal and glass objects. The graves may be dated to the 2nd-3rd centuries. Near the excavated settlement, in Donji Vukojevac, there is a Norico-Pannonian tumulus adjacent to the route of a Roman road. The fills of the structures from the Roman settlement yielded fragments of bricks and tegulae. Among the pottery forms it is possible to distinguish bowls and pots that belong to the Roman provincial ceramography with prominent indigenous influences, which dates the investigated part of the settlement between the end of the 1st century and the beginning of the 3rd century.